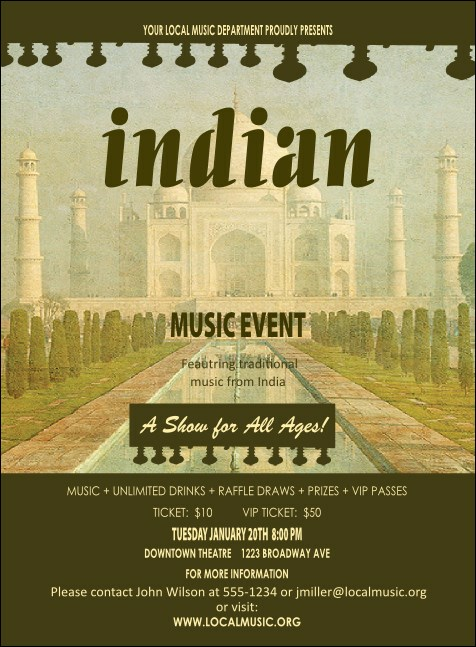 Enjoy the beauty in the Raja and the Tal when you send out the Indian Music Invitation in advance. This lush template features soft colors with dark brown highlights, and an image of the Taj Mahal reflecting in the background. Send to those who appreciate beautiful music, art and culture. Invite fans from every region with the right invitation from TicketRiver.com.au.